If you own a small business or a start-up company, you might not have access to adequate cash flow. Fortunately, you have many options for improving cash flow, and one of those options is called invoice factoring. Factoring is a process that has been around for a long time, and it's become a popular and mainstream option for today's businesses. Here are a few reasons why you might want to consider invoice factoring as an option for your business. One of the biggest benefits of factoring is that the process is simple and rather quick to set up. Most businesses can qualify for invoice factoring, and the entire process may take no more than 24-hours to set up. If you're in need of immediate cash and can't wait for a traditional bank loan, invoice factoring is an ideal solution because it's affordable for virtually any business. Invoice factoring is also ideal for businesses that don't have a long credit history and might have problems getting approved for traditional financing. Taking on a traditional loan has benefits and costs that each business must consider before applying. One of the biggest considerations is the increase in the debt load that the business will experience after the loan is approved. One of the best reasons to consider working with a factoring company is because the process allows the business to create cash flow without carrying the debt of a traditional loan. Cash flow is important because it allows the business to make payments on time, pay employees without late paychecks, and cultivate strong relationships with vendors. When a business has good cash flow and can maintain a good payment record for bills, its credit rating will increase, just like the personal credit rating of a consumer. 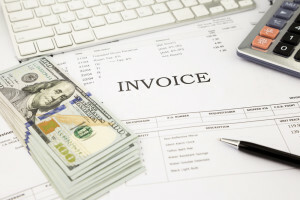 Invoice factoring helps the business make on-time payments each month, which improves the business's reputation and makes it easier to secure funding and financing in future deals. 4.) Invoice Factoring Isn't "One Size Fits All." One of the drawbacks to traditional financing is that all businesses or applicants must jump through the same hoops and undertake the same application process for the same type of loan. Invoice factoring is a unique style of funding because the arrangement is based on a business's unique customer list and the business's needs. For example, some factoring agreements might feature a one-time invoice factoring agreement. Other factoring finance options may be designed for long-term use. One of the barriers to expansion is a lack of cash flow or money in the bank for needs like equipment purchases, property investment, and hiring additional employees. Invoice factoring can help a business obtain financing quickly so that the business can take advantage of investment opportunities or new jobs that require immediate action. A business can say "yes" to a future project without having to wait three months for a current or past client to pay an old invoice. Invoice factoring might be the solution your business needs to expand operations, take on new clients, hire more employees, and build good reputation and credit with other businesses in your community. Choose Security Business Capital as your invoice factoring company, and you'll benefit from an affordable and flexible option for business financing. Contact Security Business Capital today to learn more.